Posted January 16, 2018 by Dr. Glenn Norton & filed under Cosmetic Dentistry, General Dental Articles. Everyone dreams of having a brilliant white smile. But the truth is, not all of us are blessed with a dazzlingly bright, superstar smile. In an attempt to transform our grins, we often turn to whitening toothpastes. In fact, nearly $100 million was spent on just two brands of whitening toothpastes in 2017 alone. But there’s something the team at our Evansville dental office thinks you should know about whitening toothpastes. 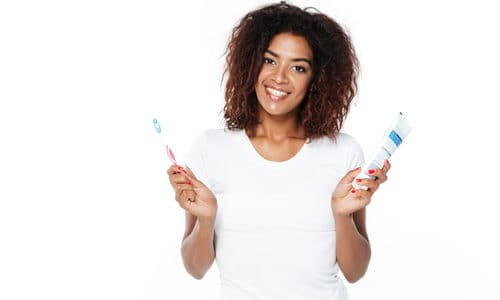 If you’ve tried every whitening toothpaste available to you and you’re still not quite happy with the results, call our dental office in Evansville to schedule an appointment. We’ll work with you to determine the best way to whiten your smile safely and effectively.